Lead & Nickel Free!! 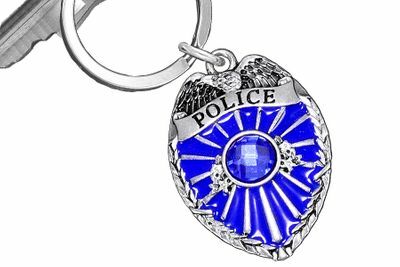 Blue Enameled Police Badge / Shield Charm With Large Faceted Blue Crystal Accent, Comes on Large, Flat Silver Tone Key Ring. 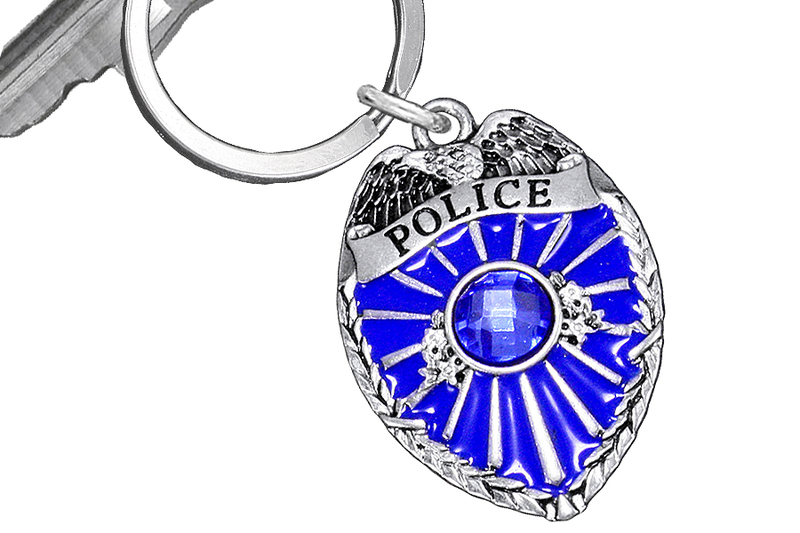 Key Ring Measures: 2 3/8" x 1 1/8".